Leslie Andrews Portes is a Professor and Researcher in LAFEX-Laboratory of Exercise Physiology at UNASP-SP Adventist University of São Paulo, Brazil. His international experience includes various programs, contributions and participation in different countries for diverse fields of study. 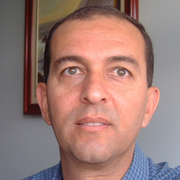 His research interests reflect in His wide range of publications in various national and international journals. He speaks at various event and conferences .He have worked with various association and member of various reputed organisation .He enjoys family-life, reading, writing, music, basketball and golf.